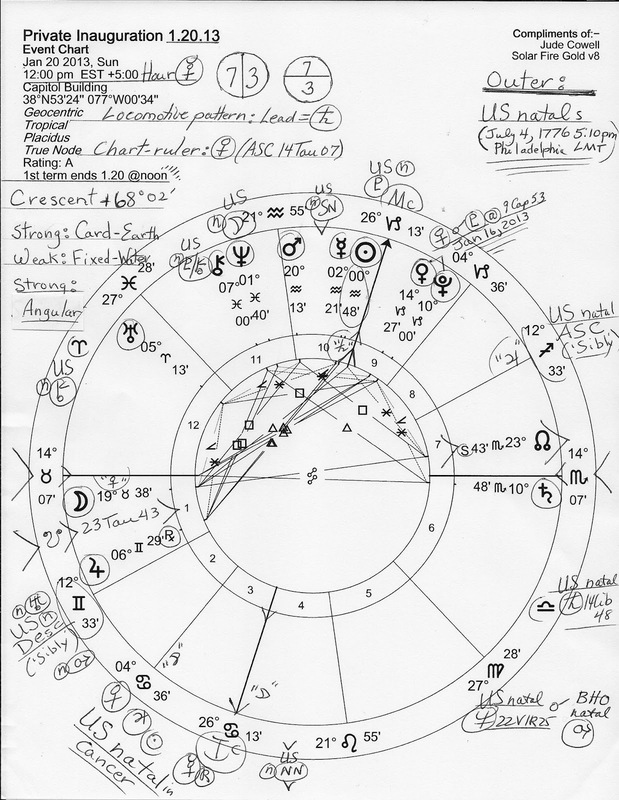 Stars Over Washington: Does a Presidential "pall" show in Inauguration 2013's Horoscope? Does a Presidential "pall" show in Inauguration 2013's Horoscope? Do Current Washington Scandals Show in Inauguration 2013's Horoscope? 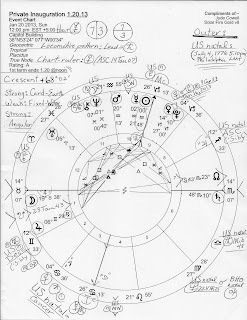 On May 15, 2013, Peter Baker of the New York Times published Onset of Woes Casts Pall Over Obama's Policy Aspirations a headline in which astrologers can easily find mention of Inauguration 2013's Midheaven (MC = The Goal) if they so desire. Then today, the Washington Post's Dan Balz published Obama's Trust in Government Deficit so we find that MSM and other media types are jumping en masse onto the Doubt Obama bandwagon. One supposes it sells or clicks for their bottom lines or for whatever Down with Government ideologies anyone may hold as they and their hidden backers work to weaken America toward easier take-over. In the horoscope above, I point your attention to its 1st house South Node of the Moon and my reading of it in the linked post. SN in 1st house is not a good portent and describes early-on difficulties for the president's second term. In part, a rising SN denotes the separations I mention in the post, plus, bad timing with one's endeavors along with limiting conditions. In a word, the Republican plan of obstructionism. For as Tamara Keith of NPR reports concerning 'Heritage Action': Conservative Advice To GOP: Don't Legislate, Focus on Scandals in an attempt to ensure that the president's agenda will be stymied and obstructed during his second term--leaving the American people to suffer as collateral damage, as usual. How I wish Election 2014 results for all obstructionist-Ayn-Randers in Congress with their lousy children-starving, survival-of-the-fittest Shrink Government agenda would find them tossed out with their dirty bathwater! Next-Up from the Cosmos: the May 25, 2013 Lunar Eclipse @4Sag08 which spotlights Election Day 2012's Mercury Station Retrograde (Mercury = voting)...uh-oh!